A bulging disc in the neck is the second most common anatomical locale for this variety of disc prolapse to occur. The cervical spine consists of 6 intervertebral discs and the ones in the middle and lower levels frequently bulge in both asymptomatic and symptom-generating forms. It is vital to understand that most disc pathologies are innocent and not the source of back or neck pain. However, some disc issues can be troublesome and even cause the most serious types of pain and neurological impairment. In order to better understand the diversity of disc bulge diagnoses, we have prepared this article to help every patient learn more about what they can expect if they have been diagnosed with a cervical herniated disc. Bulging discs are commonplace throughout the upper and lower regions of the vertebral column. Some are definitely caused by injury, while most are created either by spinal degeneration or simply due to idiopathic reasons. Disc irregularities are the most common of all spinal abnormalities and many doctors do not even consider them to be any surprise when discovered in the lower lumbar or mid to low cervical spinal zones. This is because the processes which help facilitate herniations are universal in these same areas. Cervical degenerative disc disease and general spinal deterioration set the stage for the intervertebral structures to bulge as they dry out and lose structural integrity. Luckily, research clearly demonstrates that most disc bulges are of no concern and do not create any pain or neurological effects. This is true regardless of where in the spine they are located. Traumatic injury to the neck or back can indeed cause intervertebral herniations. While spinal discs are strong, they are not as fortified as the vertebrae, so when force is exerted on the spine, one or more of these disc spacers might buckle under the pressure. Since neck injury is almost universally painful, the patient is likely to experience symptoms from traumatic disc bulges. Whether the pain is actually linked to the disc injury or the general back trauma might not be clear in every instance. 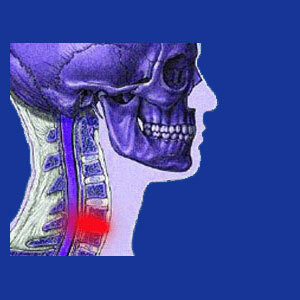 Injuries to the spinal discs might result from whiplash, which is a typical event involved in an automobile collision. Sport injuries are also high volume producers of bulging intervertebral structures. Slip and falls and acts of violence round out the usual reasons for these traumatic disc prolapse events to occur in the neck. Bulging discs remain very misunderstood diagnostic conclusions. Before seeking any treatment, we highly recommend learning the objective truths about the diagnosis of a bulging disc from Herniated-Disc-Pain.Org. 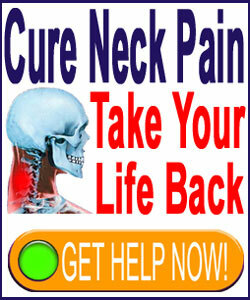 If you are diagnosed with a bulging cervical disc and are not sure what to do next, you are certainly not alone. The blame game is in full effect when it comes to scapegoating disc abnormalities as the source of pain, when in most instances; there is simply no evidence of a documented pathological process to be seen. It is vital to know that disc bulges can only enact pain when the actually compress a neurological tissue, such as a nerve root or the cervical spinal cord. These events can definitely occur, and when they do, horrible pain and neurological impairment can result. However, most disc irregularities do not compress a nerve structure and even if they do, the symptoms will generally resolve with the passage of time alone. In essence, treatment is rarely needed or indicated. In order to better understand your exact disc bulge diagnosis, talk to your neurologist to learn what consequences, if any, your herniations might be creating in your neck.